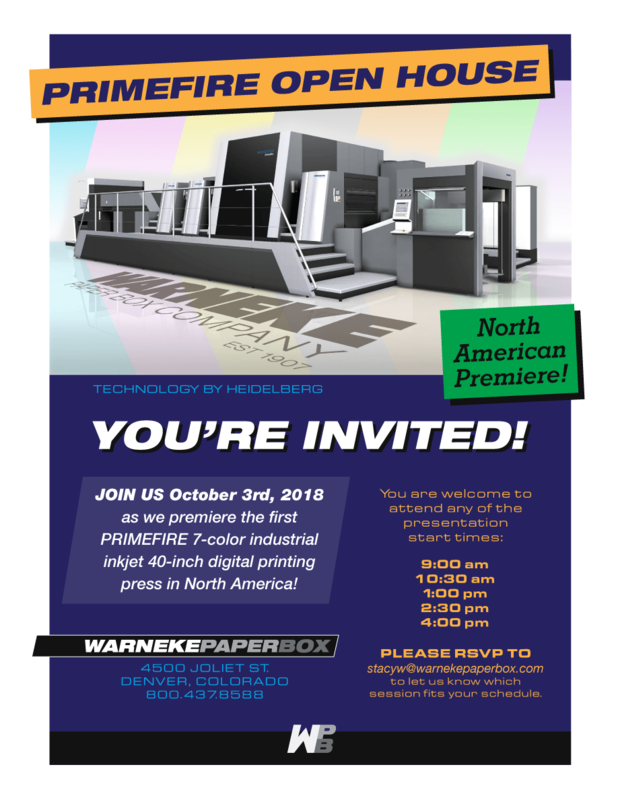 JOIN US October 3rd, 2018 as we premiere the first PRIMEFIRE 7-color industrial inkjet 40-inch digital printing press in North America! Presentation start times are 9:00 am, 10:30 am, 1:00 pm, 2:30, and 4:00. Please RSVP to stacyw@warnekepaperbox.com to let us know which session fits your schedule. We're proud to say that we use green initiatives in our company. We meet and exceed the strictest industry standards for environmentally friendly practices while also delivering the highest level of packaging you expect from us. We care about the environment and want to ensure that we can continue to sustain your needs for years to come. Sign up and keep up on the newest techniques to take your project to the next level.